Mega mansions with helipads, prestigious penthouses in the heart of New York and tropical island Summer homes? Celebs are known to splurge on prime real estate and deck their McMansions out with the most outrageous, ridiculous, and unnecessary (and expensive) features and fixtures that they can’t possibly really need. 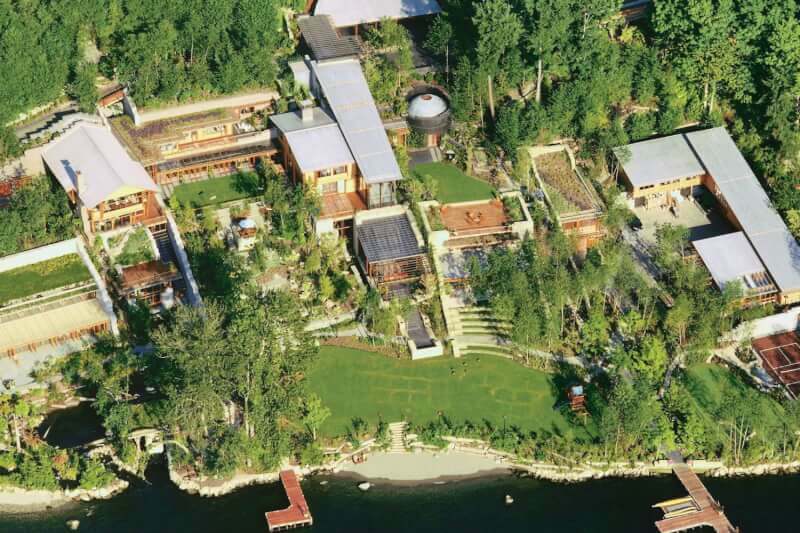 Bill Gate’s USD 147.4 million mansion sits comfortably in Medina, Washington, and sports many luxuries any geek would envy. Reportedly, Gates has decked his house with the obligatory swimming pool and bowling alley, plus a well-stocked and humungous library for the nerds. Befitting of a technopreneur, his mansion is also outfitted with a state-wide server system and smart home technology. Lights, temperature, ambience, and even music can be tweaked at the touch of a button – and guests get a special pin just to do that. 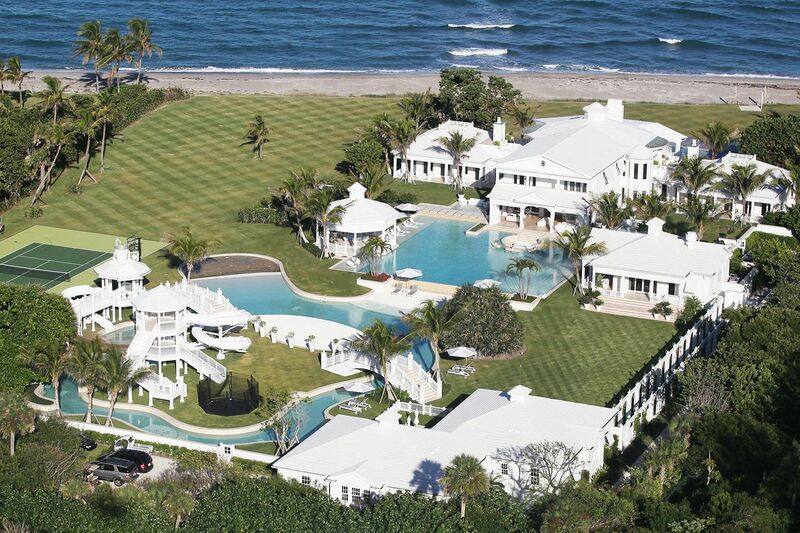 This 20,000 square foot water park wonderland has, 13 bedrooms, 14 bathrooms, and sits cosily by the Atlantic Ocean beachfront in Jupiter, Florida. It features a modern, Bahamian style, a 400-feet private beach, and two pools – complete with water slides and water gun stations! Of course, there’s also a tennis court, guest house, and various guest pavilions for entertaining. It takes about 500,000 gallons of water each year to sustain the massive water features! Celine Dion has since sold the property in 2017, for a modest USD 28 million – about half of the original USD 72 million list price. Known for his excess – in his work and lifestyle – Johnny Depp owns an insane amount of property all over the world. That includes extravagant estates such as five houses in the Hollywood Hills, five Art Deco penthouses in Los Angeles, an entire village in France, and three whole islands in The Bahamas! If the number of properties isn’t extra enough, then his go-to residences – the Hollywood Hills estate – would be. It spans 7,430 square feet and looks, essentially, like a castle. 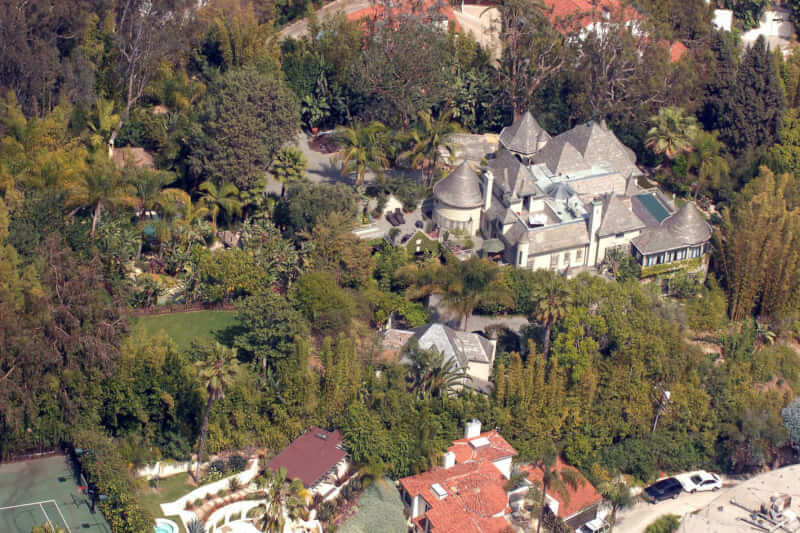 Depp had reportedly considered building tunnels to connect the five houses in his estate. He got it early, though, and paid only USD 1.8 million in 1995 to secure the property. 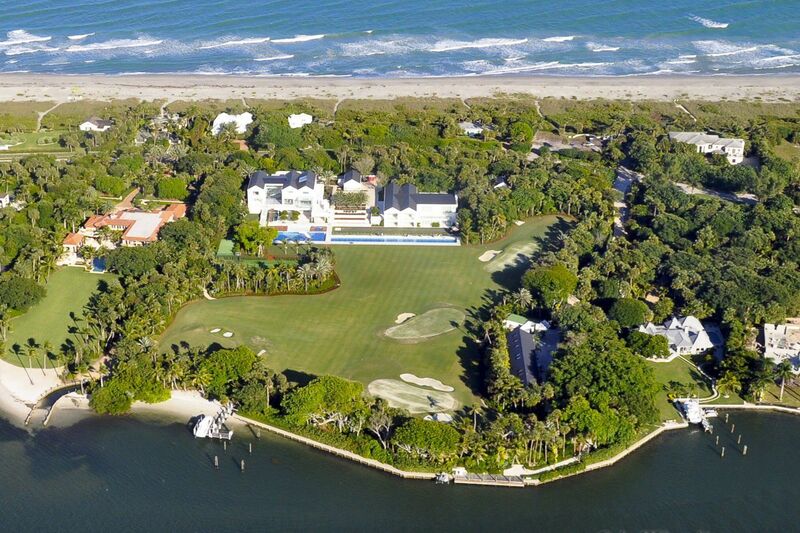 Tiger Woods and then-wife Elin Nordegren bought this 9,000 square foot, 12-acre property on Jupiter Island in 2006 for about USD 40 million, and began renovations to make it just right. Sadly, their relationship didn’t last and ended ironically in divorce the same year the home was completed. The home is still pretty extra, though, with the obligatory tennis court, spa, gym, an oxygen therapy room, and, of course, a ‘backyard’ golf course and practice facility for Woods to golf to his heart’s content. When media mogul and philanthropist Orpah Winfrey isn’t giving away cars or dishing out salient advice, she’s probably kicking it back in her 65 acre Promised Land in Montecito. Valued around USD 8 to 9 million, this property includes horse stables, fruit and avocado orchards, and a dedicated natural preserve. 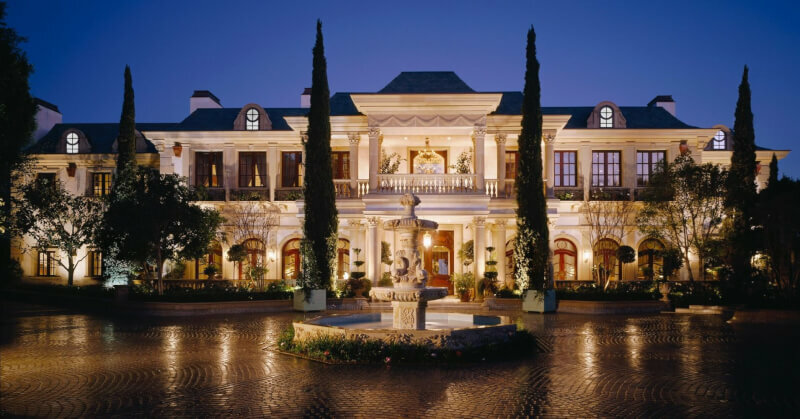 The mansion features 14 bathrooms, six bedrooms, 10 fireplaces, a library, wine cellar, and theatre. Ever wanted your home to be a reflection of your unique, quirky style? Magician, actor, and eccentric Penn Jillette once lived that dream, in an audacious, colourful, and confusing 7,900 square feet ensemble nicknamed ‘The Slammer’. 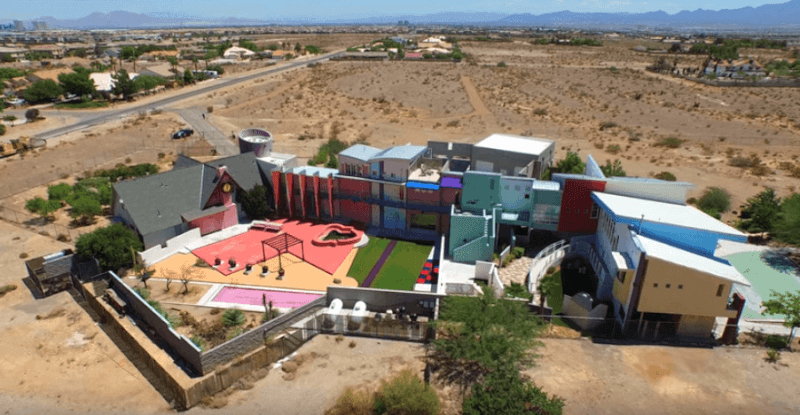 Besides the obligatory movie theatre, recording studio, and swimming pool, Jillette’s Las Vegas home also featured a clock tower, a real prison toilet, multicoloured grass, and, well, a general mish-mash of colourful and inexplicable structures that serve as extensions to his living quarters. The home was notoriously so bizarre that prospective homeowners avoided buying property nearby. In 2016, the home sold for USD 1.88 million to Larry Canarelli’s American West Homes – but not before Jillette tried to demolish the property with a real-life tank. Technically, it’s the supermodels’ dad’s – Mohamed Hadid – house, but extravagant childhood homes count, right? Mohamed Hadid is himself a developer catering to wealthy homebuyers, and designed his Beverly Hills mansion himself. 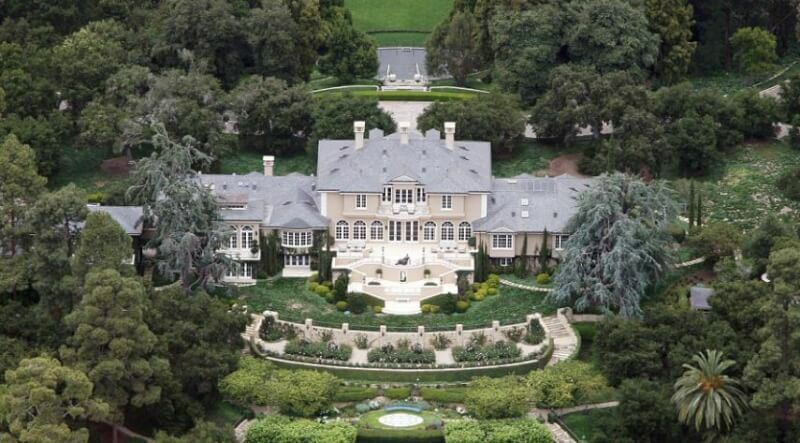 The property is currently for sale at USD 85 million, and spans 2.2 acres and houses a 35,000 square foot mansion. The interior is decked in luxury, featuring crystals, silks, and expensive leather furnishings. One notable space is the Moroccan room, named so for its design and origin – it was originally built in Morocco! Action star John Travolta has the fame and fortune to live his dreams – and it turns out his dreams involve owning, flying, and staying close to a lot of planes. Travolta is a passionate licensed pilot with 5 aeroplanes to his name. 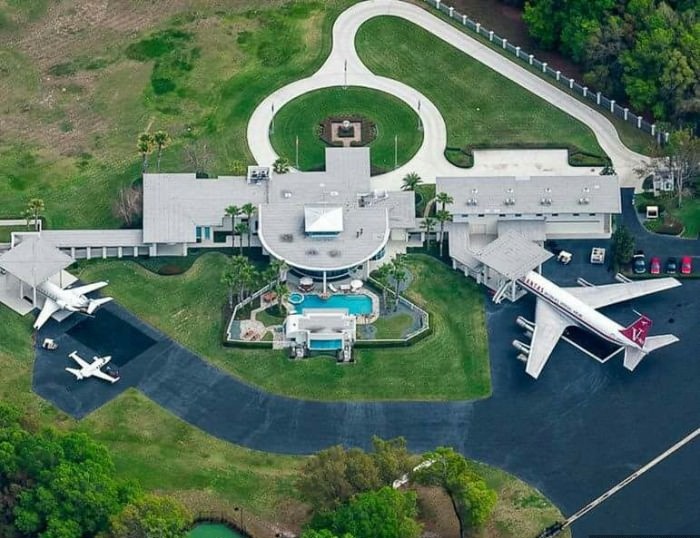 His luxury 6,400 square foot ‘airport mansion’ is therefore situated in a similarly aviation-themed community, Jumbolair Aviation Estate and comes with its very own attached hangar – and a runway that leads directly to his front door. Feeling inspired to get closer to your dream home, connect to our renovation experts and get a step closer. We will handle payments, contractors and ensure the project is completed on time because we want to turn your dream into a reality.